Georgia is a state of the southeastern US, on the Atlantic. There are many famous Native American tribes who played a part in the history of the state and whose tribal territories and homelands are located in the present day state of Georgia. 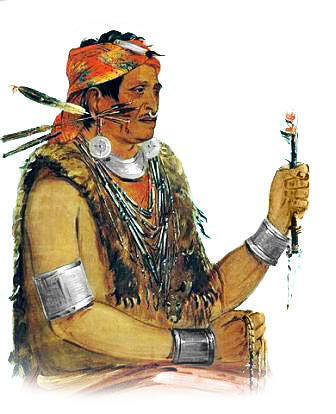 The names of the Georgia tribes included the Apalachee, Choctaw, Cherokee, Hitchiti, Oconee, Miccosukee, Muskogee Creek, Timucua, Yamasee, Guale, Shawnee and the Yuchi. 1813: Creek War (1813�1814) erupted in Alabama and Georgia. The Creek Indians were defeated by American forces led by Andrew Jackson at Talladega in 1813, at Emuckfau, in 1814, at Enotochopco in 1814 and finally at the Horseshoe Bend of the Tallapoosa River when 750 Creeks were killed or drowned, and 201 whites were killed or wounded.